ABN AMRO Bank N.V. is a Dutch bank with headquarters in Amsterdam. ABN AMRO Bank is the third-largest bank in the Netherlands. It was re-established in its current form in 2009, following the acquisition and break-up of the original ABN AMRO by a banking consortium consisting of Royal Bank of Scotland Group, Santander Group and Fortis. Following the collapse of Fortis, who acquired the Dutch business, it was nationalized by the Dutch government along with Fortis Bank Nederland. It was relisted as public company again in 2015. In October 2007, a consortium of the Royal Bank of Scotland Group, Fortis and Banco Santander, known as RFS Holdings B.V. acquired the bank, in what was the world's biggest bank takeover to date. 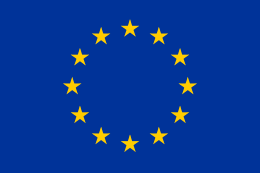 Consequently, the bank was divided into three parts, each owned by one of the members of the consortium. However, RBS and Fortis soon ran into serious trouble: the large debt created to fund the takeover had depleted the banks' reserves just as the financial crisis of 2007–2010 started. As a result, the Dutch government stepped in and bailed out Fortis in October 2008, before splitting ABN AMRO's Dutch assets (which had primarily been allocated to Fortis) from those owned by RBS, which were effectively assumed by the UK government due to its bail-out of the British bank. The operations owned by Santander, notably those in Italy and Brazil, were merged with Santander, sold or eliminated. The Dutch government appointed former Dutch finance minister Gerrit Zalm as CEO to restructure and stabilise the bank, and in February 2010 the assets it owned were legally demerged from those owned by RBS. This demerger created two separate organisations, ABN AMRO Bank N.V. and The Royal Bank of Scotland N.V. The former was merged with ABN AMRO Private Banking, Fortis Bank Nederland, the private bank MeesPierson (formerly owned by the original ABN AMRO and Fortis) and the diamond bank International Diamond & Jewelry Group to create ABN AMRO Group N.V., with the Fortis name being dropped on 1 July 2010. The remaining parts of the original ABN AMRO still owned by The Royal Bank of Scotland N.V., meanwhile, were renamed, sold or closed. The Dutch government has said that ABN AMRO would remain state-owned until at least 2014. On November 20, 2015 the Dutch government publicly re-listed the company through an IPO and sold 20% of the shares to the public. In 1824, King William I established the Nederlandsche Handel-Maatschappij (NHM) a trading company to revive trade and financing of the Dutch East Indies and it would become one of the primary ancestors of ABN AMRO. The NHM merged with the Twentsche Bank in 1964 to form Algemene Bank Nederland (ABN). In the same year, the Amsterdamsche Bank, established in 1871, merged with the Rotterdamsche Bank, established in 1873 (as part of merger that included Determeijer Weslingh & Zn. from 1765), to form AMRO Bank. In 1991, ABN and AMRO Bank agreed to merge to create ABN AMRO. Through these mergers and acquisitions, ABN AMRO gained a large number of overseas companies and branches. From NHM, it owned a significant branch network in Asia and the Middle East. One of these, the Saudi Hollandi Bank was owned by the NHM Jeddah branch and in which ABN AMRO still had a 40% stake, caused questions in the Dutch parliament from the political Party for Freedom. Another, the Hollandsche Bank-Unie (HBU), which grew from the merger of the Hollandsche Bank voor de Middellandsche Zee (HBMZ) and the Hollandsche Zuid-Amerika Bank in 1933, gave ABN AMRO an extensive network of branches in South and Central America. In 1979, ABN expanded into North America with the acquisition of Chicago-based LaSalle National Bank. After the merger of ABN and AMRO Bank in 1991, the corporation continued to grow through a number of further acquisitions, including the 1996-purchase of suburban Detroit based Standard Federal Bank followed five-years later by the acquisition of its Detroit-based competitor Michigan National Bank which was rebranded as Standard Federal. In 2005, Standard Federal became LaSalle Bank Midwest to unite the two components. ABN AMRO purchased The Chicago Corporation, an American securities and commodities trading and clearing corporation in fall 1995. Other major acquisitions included the Brazilian bank Banco Real in 1998 and the Italian bank Antonveneta in 2006. It was also involved in the controversial acquisition of the Dutch local government mortgage and building development organisation, the Bouwfonds in 2000. ABN AMRO sold the Bouwfonds as a going concern in 2006. ABN AMRO had come to a crossroads in early 2005. The bank had still not come close to its own target of having a return on equity that would put it among the top-five of its peer group, a target that the CEO, Rijkman Groenink had set upon his appointment in 2000. From 2000 until 2005, ABN AMRO's stock price stagnated. Financial results in 2006 added to concerns about the bank's future. Operating expenses increased at a greater rate than operating revenue, and the efficiency ratio deteriorated further to 69.9%. Non-performing loans increased considerably year on year by 192%. Net profits were only boosted by sustained asset sales. 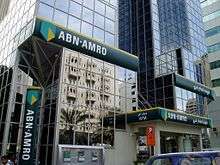 In 2006, research findings were publicly released regarding ABN AMRO Bank N.V. predecessors and connections to African slavery. An examination of 200 predecessors of ABN AMRO Bank N.V. founded before 1888, determined that some had connections to African slavery, either in the United States or elsewhere in the Americas. There had been some calls, over the prior couple of years, for ABN AMRO to break up, to merge, or to be acquired. 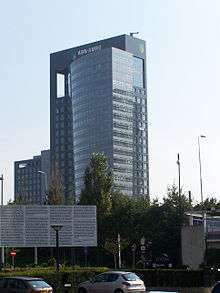 On 21 February 2007, The Children's Investment Fund Management (TCI) hedge fund called to ask the Chairman of the Supervisory Board to actively investigate a merger, acquisition or breakup of ABN AMRO, stating that the current stock price did not reflect the true value of the underlying assets. TCI asked the chairman to put its request on the agenda of the annual shareholders' meeting to be held in April 2007. Events accelerated on 20 March, when the British bank Barclays and ABN AMRO both confirmed they were in exclusive talks about a possible merger. On 28 March 2007, ABN AMRO published the agenda for the shareholders' meeting of 2007. It included all items requested by TCI, but with the recommendation not to follow the request for a breakup of the company. ABN AMRO Insurance headquarters in Zwolle. However, on 18 April, another British bank, the Royal Bank of Scotland (RBS) contacted ABN AMRO to propose a deal in which a consortium of banks, including RBS, Belgium's Fortis, and Spain's Banco Santander Central Hispano (now Banco Santander) would jointly bid for ABN AMRO and thereafter divide the components of the company among them. According to the proposed deal, RBS would receive ABN's United States operations, LaSalle, and ABN's wholesale operations; Banco Santander would take the Brazilian operations; and Fortis, the Dutch operations. On 23 April, ABN AMRO and Barclays announced the proposed acquisition of ABN AMRO by Barclays. The deal was valued at €67 billion and included the sale of LaSalle Bank to Bank of America for €21 billion. Two days later, the RBS-led consortium brought out its indicative offer, worth €72 billion, if ABN AMRO would abandon its sale of LaSalle Bank to Bank of America. During the shareholders' meeting the next day, approximately 68 percent of the shareholders voted in favour of the breakup as requested by TCI. The sale of LaSalle was seen as obstructive by many: as a way of blocking the RBS bid, which hinged on further access to the US markets, in order to expand on the success of the group's existing American brands, Citizens Bank and Charter One. On 3 May 2007, the Dutch Investors' Association (Vereniging van Effectenbezitters), with the support of shareholders representing up to 20 percent of ABN's shares, took its case to the Dutch commercial court in Amsterdam, seeking an injunction against the LaSalle sale. The court ruled that the sale of LaSalle could not be viewed apart from the current merger talks of Barclays with ABN AMRO, and that the ABN AMRO shareholders should be able to approve other possible merger/acquisition candidates in a general shareholder meeting. However, in July 2007, the Dutch Supreme Court ruled that Bank of America's acquisition of LaSalle Bank could proceed and Bank of America absorbed LaSalle effective 1 October 2007. On 23 July 2007, Barclays raised its offer for ABN AMRO to €67.5bn, after securing investments from the governments of China and Singapore, but it was still short of the RBS consortium's offer. Barclay's revised bid was worth €35.73 a share — 4.3% more than its previous offer. The offer, which included 37% cash, remained below the €38.40-a-share offer made the week before by the RFS consortium. The revised offer did not include an offer for La Salle Bank, since ABN AMRO could proceed with the sale of that subsidiary to Bank of America. RBS would now settle for ABN's investment-banking division and its Asian Network. On 30 July 2007, ABN AMRO withdrew its support for Barclays’ offer which was lower than the offer from the group led by RBS. While the Barclays offer matched ABN AMRO’s “strategic vision,” the board couldn’t recommend it from “a financial point of view.” The US$98.3bn bid from RBS, Fortis and Banco Santander was 9.8% higher than Barclays’ offer. Barclays Bank withdrew its bid for ABN AMRO on 5 October, clearing the way for the RBS-led consortium's bid to go through, along with its planned dismemberment of ABN AMRO. Fortis would receive ABN AMRO's Dutch and Belgian operations, Banco Santander would get Banco Real in Brazil, and Banca Antonveneta in Italy and RBS would get ABN AMRO's wholesale division and all other operations, including those in Asia. On 22 April 2008, RBS announced the largest rights issue in British corporate history, which aimed to raise £12billion in new capital to offset a writedown of £5.9billion resulting from the bad investments and to shore up its reserves following the purchase of ABN AMRO. On 13 October 2008, British Prime Minister Gordon Brown announced a UK government bailout of the financial system. The Treasury would infuse £37 billion ($64 billion, €47 billion) of new capital into Royal Bank of Scotland Group Plc, Lloyds TSB and HBOS Plc, to avert financial sector collapse. This resulted in a total government ownership in RBS of 58%. As a consequence of this rescue, the chief executive of the group Fred Goodwin offered his resignation, which was duly accepted. In January 2009, RBS announced a loss of £28bn of which £20bn was due to the ABN AMRO acquisition. At the same time, the government converted its preference shares to ordinary shares resulting in a 70% ownership of RBS. ABN AMRO headquarters in Amsterdam. On 11 July 2008, Fortis CEO Jean Votron stepped down after the ABN AMRO deal had depleted Fortis's capital. The total worth of Fortis, as reflected by its stock value, was at that time one-third of what it had been before the acquisition, and just under the value it had paid for the Benelux activities of ABN AMRO. Fortis announced in September of that year that it would sell its stake in RFS Holdings, which included all activities that had not been transferred yet to Fortis (i.e. everything except asset management). In 2008, RFS Holdings completed the sale of a portfolio of private equity interests in 32 European companies managed by AAC Capital Partners to a consortium comprising Goldman Sachs, AlpInvest Partners and the Canada Pension Plan for $1.5 billion through a private equity secondary market transaction. In September 2009, RBS rebranded the Morgans sharedealing business in Australia as RBS Morgans. This followed the rebranding of the ABN AMRO Australia unit to RBS Australia in March that year. On 10 February 2010, RBS announced that branches it owned in India and the United Arab Emirates were to be rebranded under its name. HSBC Holdings said it would buy the Indian retail and commercial banking businesses of Royal Bank of Scotland for $1.8bn, however the deal fell-through in December 2012. Continuing problems with Fortis operations during the 2008 financial crisis led to the Dutch government to obtain full control of all Fortis operations in the Netherlands, including those parts of ABN-AMRO then belonging to Fortis, at a price of €16.8bn. The government and the De Nederlandsche Bank president have announced the merger of Dutch Fortis and ABN AMRO parts will proceed while the bank is in state ownership. This was completed in July 2010 when Fortis operations in the Netherlands were rebranded ABN AMRO. In November 2008, a Belgian court dismissed a suit by shareholders of Fortis objecting to the Belgian government's handling of the Fortis/ABN AMRO transaction and subsequent break-up. ABN AMRO acquired the specialist on-line mortgage provider Direktbank Hypotheken as part of the nationalisation and from the 1 January 2011 it stopped selling these products under this brand to the public. It absorbed the mortgage business into its own products under the ABN AMRO brand as well as Florius brand. ABN AMRO was mentioned by the United States Securities and Exchange Commission (SEC) in court filings when it sued Goldman Sachs and one of Goldman's collateralized debt obligation (CDO) traders on 16 April 2010. The SEC alleges that Goldman defrauded both IKB Deutsche Industriebank and ABN AMRO by its failure to disclose that the CDOs it sold to both banks were not assembled by a third party, but instead through the guidance of a hedge fund that was counterparty in the CDS transaction. This hedge fund, Paulson & Co., stood to reap great financial benefit in the event of default. In March 2013, ABN AMRO issued a letter to its gold contract customers notifying that it would default on its obligation to deliver allocated gold to its clients. By taking advantage of legal tender laws, the firm offered to compensate the loss to its clients using Fiat money rather than actual gold. ABN AMRO Bank has offices in 15 countries with 32,000 employees, most of whom are based in the Netherlands with only 5,000 in other countries. Its operations include a private banking division which focuses on high-net-worth clients in 14 countries as well as commercial and merchant banking operations that play a major role in energy, commodities and transportation markets as well as brokerage, Clearing & Custody. The bank refers to itself as ABN AMRO in all capitals, based on an acronym of the two originating banks names Algemene Bank Nederland and the Amsterdam and Rotterdam Bank, in the second case the first two letters of each town make up the word AMRO. The letters in 'ABN' are pronounced separately and 'AMRO' is pronounced as a word. For this reason some media spell the name as 'ABN Amro'. In written text both versions are used, although the bank itself uses only the uppercase version. In conversations, the bank is sometimes referred to as simply ABN or AMRO bank depending on one's location around the world. The green and yellow shield logo was designed by Landor Associates for ABN AMRO in 1991 and has been used as a brand for the bank and all its subsidiaries. ABN AMRO was the main sponsor of Dutch football club AFC Ajax of Amsterdám between from 1991 to 2008. The sponsor logo was (at the time) the only one in the world to be printed vertically down the right hand side of the front of the shirt. As of 2014 ABN AMRO is one of the strategic industry partners with Duisenberg school of finance. 1 2 3 "Annual Report 2015". ABN AMRO Group. p. 330. Retrieved 2016-11-04. ↑ "Global Private Banking Benchmark 2014 - Scorpio Report". scorpiopartnership.com. 1 2 "Annual Report 2015". ABN AMRO Group. p. 332. Retrieved 2016-11-04. ↑ "Major Banks in the Netherlands". ↑ Steinglass, Matt (June 5, 2013). "ABN Amro fights ruling that prohibits acquisitions". Financial Times. ↑ "Fortune Global 500 by industry: Banks - Commercial and Savings". CNN. July 23, 2007. Archived from the original on 19 August 2010. Retrieved 26 July 2010. ↑ "ABN AMRO completes legal demerger" (Press release). ABN AMRO. 8 February 2010. Retrieved 2013-02-19. ↑ "ABN AMRO Group announces the legal renaming of ABN AMRO Bank N.V. to The Royal Bank of Scotland N.V." (PDF) (Press release). RBS. 6 February 2010. Retrieved 2013-02-19. ↑ "Split into the new ABN AMRO Bank and RBS N.V. in the 1st quarter of 2010" (Press release). ABN AMRO. 7 October 2009. Retrieved 2013-02-19. ↑ "FAQs: ABN AMRO Bank N.V. legal entity renaming in the US" (PDF). Royal Bank of Scotland. 6 February 2010. Retrieved 2013-02-19. ↑ "ABN Amro raises 2.3bn as Dutch government cuts stake". The Telegraph. November 20, 2015. ↑ "ABN-Amro Is Seen Making Acquisition". The New York Times. NYTimes.com. 27 September 1995. Retrieved 2013-02-19. ↑ "Dirty tricks during Bouwfonds privatisation". DutchNews.nl. 31 March 2010. Retrieved 2013-02-19. ↑ "HAI Completes Multinational Research on ABN AMRO Connections to Slavery, Findings Released" (Press release). History Associates, Inc. 28 April 2006. Retrieved 2014-05-29. ↑ "Barclays in exclusive ABN talks". BBC News Business. bbc.com. 20 March 2007. Retrieved 2013-02-19. ↑ "Barclays agrees £45bn Dutch deal". BBC News Business. bbc.com. 23 April 2007. Retrieved 2013-02-19. ↑ "RBS woos ABN with £49bn bid plan". BBC News Business. bbc.com. 25 April 2007. Retrieved 2013-02-19. ↑ "Banks shares crash on RBS £28bn loss". Daily Mail. thisismoney.co.uk. 19 January 2009. Retrieved 2013-02-19. ↑ Matthieu Robbins (20 January 2009). "Was ABN the worst takeover deal ever?". The Independent. independent.co.uk. Retrieved 2013-02-19. ↑ "Mixed fortunes for the buyers of ABN AMRO". The Economist. economist.com. 17 July 2008. Retrieved 2013-02-19. ↑ Martijn van der Starre (11 July 2008). "Fortis Ousts Chief Votron After ABN AMRO Deal Depletes Capital". Bloomberg Businessweek. bloomberg.com. Retrieved 2013-02-19. ↑ "Fortis earnings fall 50% in Q2". The Economic Times. economictimes.com. 4 August 2008. Retrieved 2013-02-19. ↑ Ben Livesey (11 July 2008). "RBS Says Fortis Rescue Won't Hurt Its ABN Amro Assets". Bloomberg Businessweek. bloomberg.com. Retrieved 2013-02-19. ↑ "Fortis ABN AMRO sell-off in trouble". DutchNews.nl. 16 June 2008. Retrieved 2013-02-19. ↑ Arleen Jacobius (12 August 2008). "Goldman group snags ABN AMRO unit". Pensions & Investments. pionline.com. Retrieved 2013-02-19. ↑ Toby Lewis (18 August 2008). "Discount offered to offload ABN Amro's Secondaries". Private Equity News. penews.com. Retrieved 2013-02-19. ↑ Alison Bell (10 September 2009). "ABN AMRO Morgans rebrands to RBS Morgans". Sydney Morning Herald. smh.com.au. Retrieved 2013-02-19. ↑ "ABN Amro India ready for re-branding into RBS". Business Standard. business-standard.com. 25 May 2008. Retrieved 2013-02-19. ↑ "UAE's ABN Amro Becomes RBS on February 6". Khaleej Times. khaleejtimes.com. 5 February 2010. Retrieved 2013-02-19. ↑ "Royal Bank of Scotland's sale of Indian unit to HSBC falls through". The Times Of India. indiatimes.com. 1 December 2012. Retrieved 2013-02-19. ↑ "Dutch government nationalises Fortis and ABN Amro". NRC Handelsblad. nrc.nl. 3 October 2008. Retrieved 2013-02-19. ↑ "Completion of ABN AMRO Bank and Fortis Bank Nederland legal merger" (Press release). ABN AMRO. 30 June 2010. Retrieved 2013-02-19. ↑ Aiofe White (18 November 2008). "Belgian court rejects appeal against Fortis sale". USA Today. USAtoday.com. Associated Press. Retrieved 2013-02-19. ↑ "2 Presale Report - Structured Finance: Dutch RMBS" (PDF). DBRS. 2 October 2013. ↑ "SEC Charges Goldman Sachs With Fraud in Structuring and Marketing of CDO Tied to Subprime Mortgages" (Press release). US Securities and Exchange Commission. 16 April 2010. Retrieved 2013-02-19. ↑ "Goldman Sachs SEC SETTLEMENT Reached -- And Stock SOARS". The Huffington Post. huffingtonpost.com. 15 July 2010. Retrieved 2013-02-19. ↑ "Largest Dutch Bank Defaults On Physical Gold Deliveries" (Press release). Truth In Our Time. 3 April 2013. Retrieved 2013-05-26. ↑ "Our Company". ABN AMRO. Retrieved 2013-02-19. ↑ "ABN AMRO" (in French). OpesC. 2010. Retrieved 2014-05-29. ↑ "DSF Industry Partners". Duisenberg School of Finance. Retrieved 2014-05-29. Wikimedia Commons has media related to ABN AMRO.